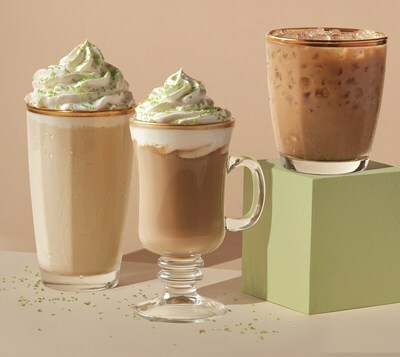 LOS ANGELES, March 13, 2019 /PRNewswire/ -- The Coffee Bean & Tea Leaf®, one of the world's leading roasters and retailers of specialty coffee and tea, today added a new selection of spring beverages: Irish Cream Latte, Midnight Mocha Cold Brew Latte and Mango Cold Brew Tea, a returning brand favorite. The new spring varieties are available now through May 22, 2019. The new cold and hot beverages are carefully crafted and include a variety of flavors that complement the renewing energy of spring. The Coffee Bean & Tea Leaf was the first global retailer to offer cold brew tea, which has become increasingly popular due to its smoother, less acidic taste. Its returning mango flavor adds to the existing variety of crisp, rejuvenating cold brews. Irish Cream Latte is sweet and creamy with vanilla and cocoa notes and is available hot, iced or as an Ice Blended® drink. 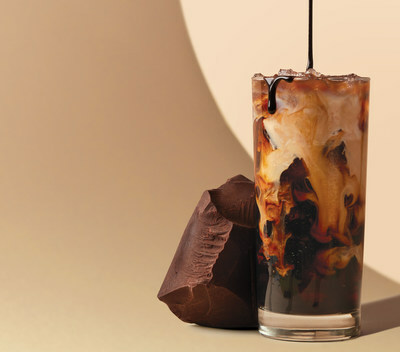 Midnight Mocha Cold Brew Latte perfectly balances the signature Cold Brew Coffee with a rich, dark chocolate sauce and a splash of milk, and can be served over ice or nitro-infused. Mango Cold Brew Tea combines traditional Scottish Breakfast tea with mango puree for a tropical, refreshing treat. "We are known for our innovative new beverages that take a twist on classic flavors," said Nurit Raich, Senior Director of Product Innovation, The Coffee Bean & Tea Leaf. "The Coffee Bean & Tea Leaf is excited to continue introducing new latte and cold brew flavors that are sweet and satisfying, which we expect to strike a positive chord with our loyal guests." Osmanthus Oolong: The hand-plucked tea leaves are blended with Osmanthus flowers to create a slightly floral cup with a buttery finish. The Coffee Bean & Tea Leaf's retail tea products for at-home consumption are available in tea bags and capsules. In celebration of the spring season and warmer weather, The Coffee Bean & Tea Leaf will offer special promotions in the upcoming weeks. From April 15-28, 2019, participating The Coffee Bean & Tea Leaf stores will host The Brew at Home Event, where guests can buy two retail coffee or tea items and get one free. This specialty deal includes all retail coffee and tea, single serve, and capsules. Additionally, The Coffee Bean & Tea Leaf will offer a specialty deal to honor teachers during Teacher Appreciation Week from May 6-10, 2019. Teachers will enjoy a small beverage for $2 with a valid Faculty ID.